This year has been an amazing year. One of the things we loved the most about it was the Sac City Rollers. 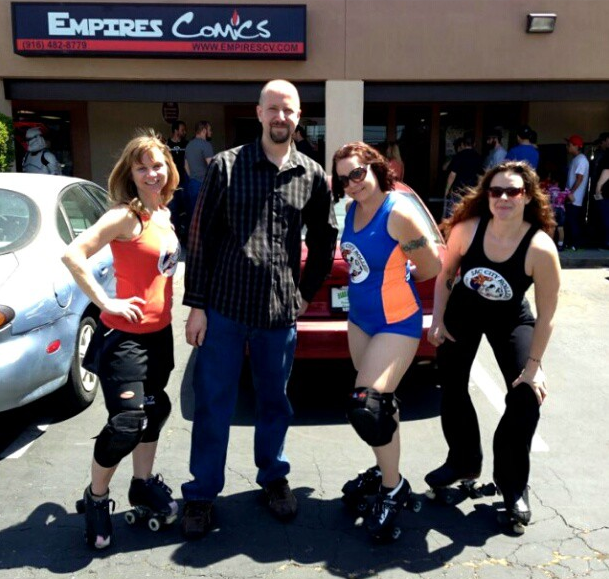 They even made an appearance at our 2013 Free Comic Book Day Mini-Con and on EmpiresCV.tv, our YouTube channel. We're really looking forward to another great year with them in 2014 and hope that many of you will be able to join us on a game night. We guarantee you'll have a good time. Learn more about Sac City Rollers.